Spinach is one of my favorite ingredients for healthy meals; it can be used so many ways and adds a wonderful texture and flavor with countless healthy benefits for your body. 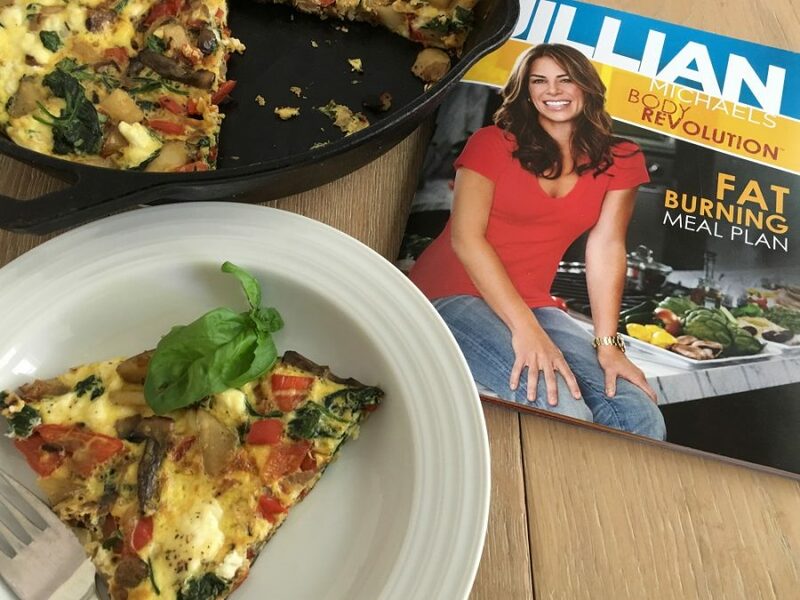 Combining it with other vegetables can offer even more benefits like done in this delish spinach frittata from Jillian Michaels. Take everything you love in a traditional spinach frittata, add some peppers and feta cheese and you have a beautiful healthy recipe to keep you on track for your diet, healthy eating routine, or meal plan. 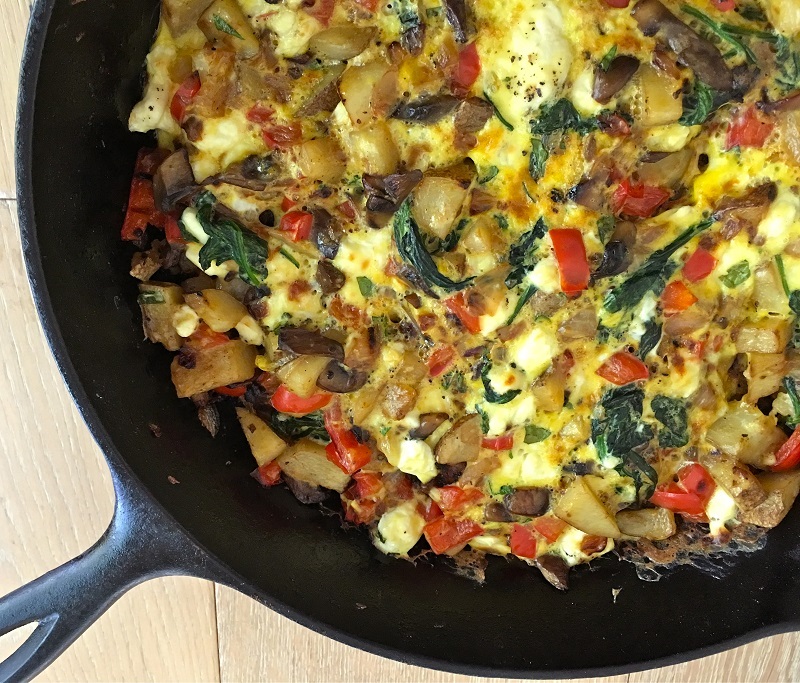 Enjoy this Jillian Michaels spinach frittata recipe with potatoes peppers and feta anytime of day to stay on your meal plan or to simply eat healthy. There are a few Jillian Michaels cookbooks. This one and this one are both great. They have a purpose, they’ll help keep you on track. They also go really well with all of her programs. You know I love me some Jillian workouts! 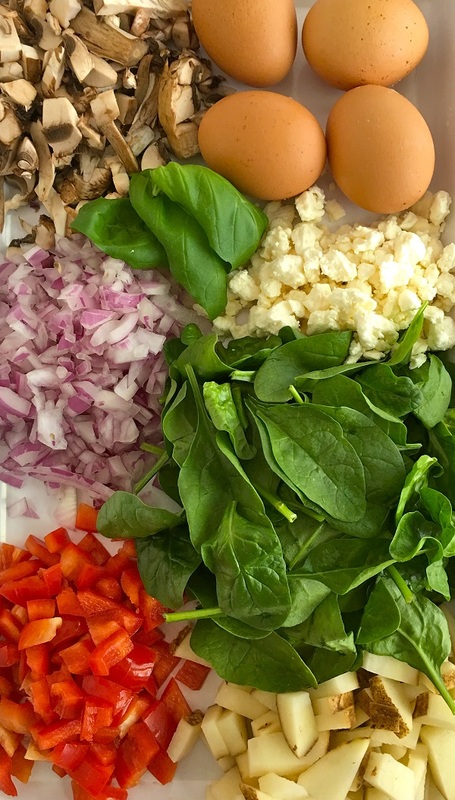 Making healthy meals is key in sticking to any diet or meal plan and this frittata recipe is well worth the time it takes to prepare and cook. If you are entertaining friends who eat a healthy diet, this is a fantastic recipe that is sure to impress them. 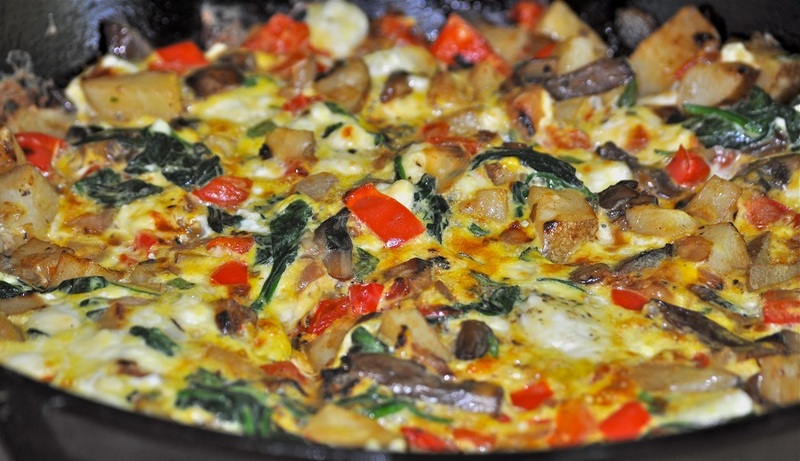 The list of ingredients for this frittata is a bit long, things like spinach, of course, but also red onions, russet potatoes, eggs, bell peppers and so much more all come together to make a healthy and delicious dish. This recipe actually comes from Jillian Micheals so you can rest assured that this recipe will work with just about any diet. To make this delicious recipe from Jillian Michael’s turn your broiler on to low with the rack about four inches from the broiler. Heat a cast iron skillet or another ovenproof nonstick skillet over low heat. An 8 to the 10-inch pan will work best. Add the damp spinach from being rinsed to the pan, cover and cook about one minute until the leaves just start to wilt. Transfer to a colander and squeeze out excess fluid with tongs and wipe the skillet clean. Add the olive oil to the clean skillet and heat over medium heat. Add the onion and salt and cook two minutes or so until the onion begins to soften. Add the mushrooms and cook about two minutes. Stir in the potato and pepper, cover and cook an additional five to eight minutes until the potato is tender. It will still be firm so don’t worry! 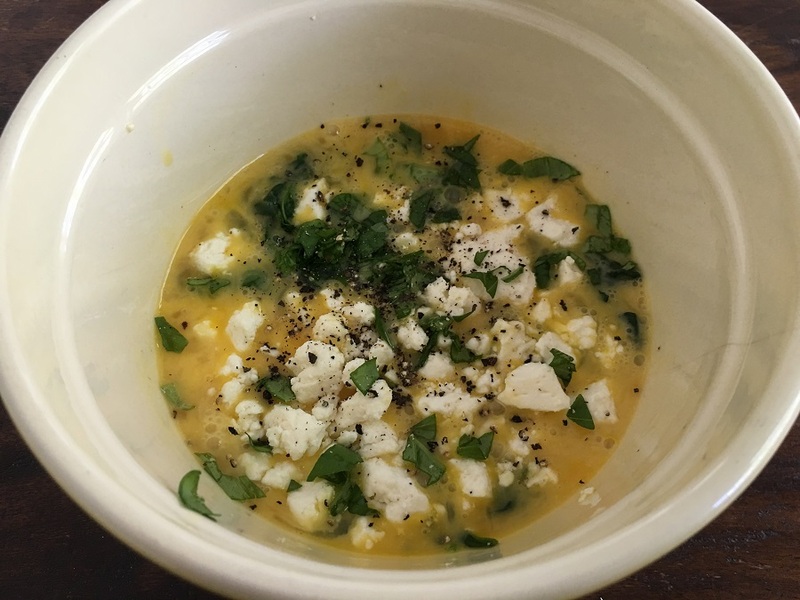 In a separate medium mixing bowl whisk the eggs until slightly beaten and then stir in the extra spinach, feta, oregano, and black pepper. Monitor the potato mixture and when cooked, pour the egg mixture evenly over the top. Cook until the eggs are set around the edges which should take ten minutes or so. Then place the skillet under the broiler for one to two minutes. You want the spinach frittata to be puffy and slightly browned. 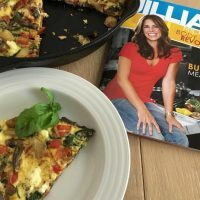 This spinach frittata is best served warm and is an excellent source of protein to help you lose weight, tone your body and refuel after Jillian Michaels workouts. While many may think of this as a Jillian Michael breakfast idea, it is also a great healthy lunch option. Heat a cast iron skillet or other ovenproof nonstick skillet over low heat. An 8 to 10-inch pan will work best.